I don’t always think to do stirfry in the summer. Maybe because we tend to think BBQ and fresh salads for summer. 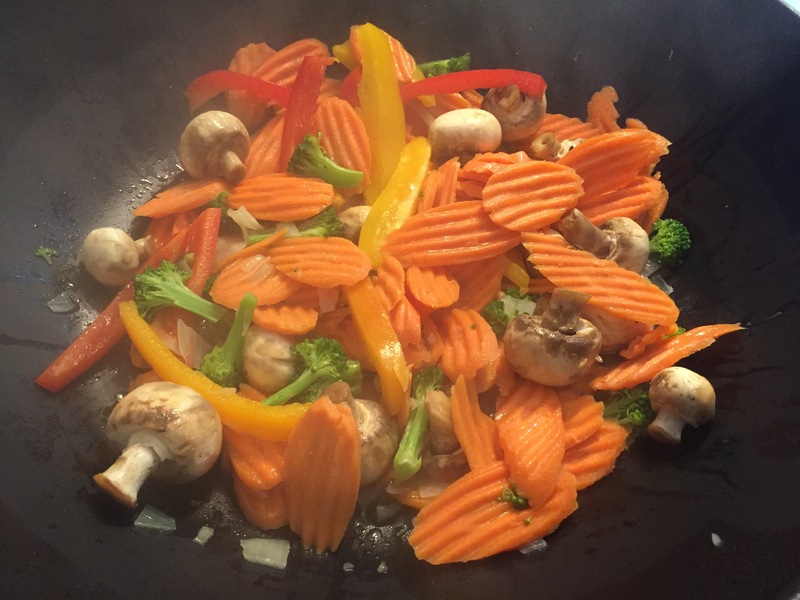 After a large family gathering, I was left with a variety of fresh veggies from my veggie tray – button mushrooms, carrot slices, peppers, mini tomatoes and broccoli. A stir fry seemed like the most logical option to ensure I wouldn’t waste my veggies! Throw in some left over chicken and an easy chicken stir fry is created! 1) Heat up Wok. Drizzle Sesame oil on wok. Drop in diced onions. Cover. 2) Mix up onions. Throw in vegetables. Pour in 1/4 cup of vegetable broth. Cover for 5 minutes. Stir. Continue to cover for 5 minute intervals until veggies are cooked to your liking. 4) In a large measuring cup mix remaining vegetable broth (1/3 cup), Soy sauce, worstshire sauce, sugar, five spice and corn starch. Mix well and add to the wok. Cover and mix after 5 minutes. 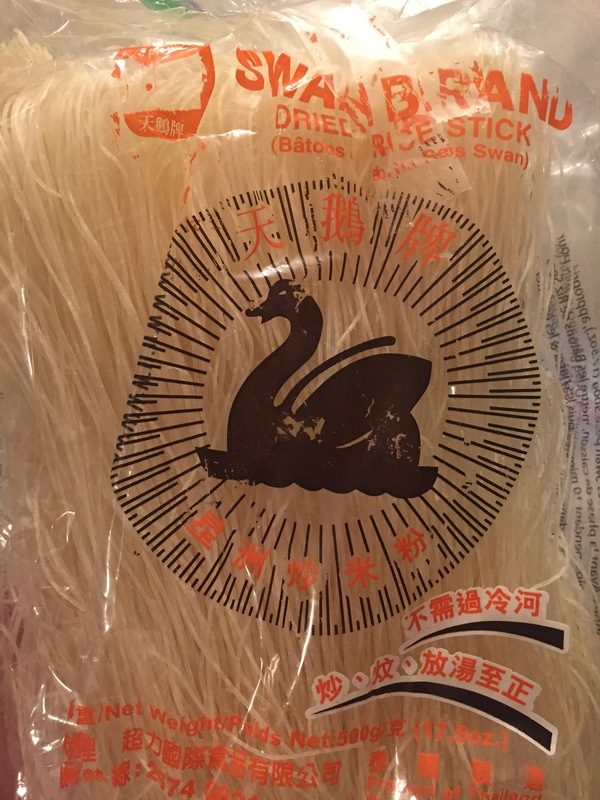 5) Mix in dry noodles. Cover for 5 minutes. Stir, cover and repeat until noodles are tender. 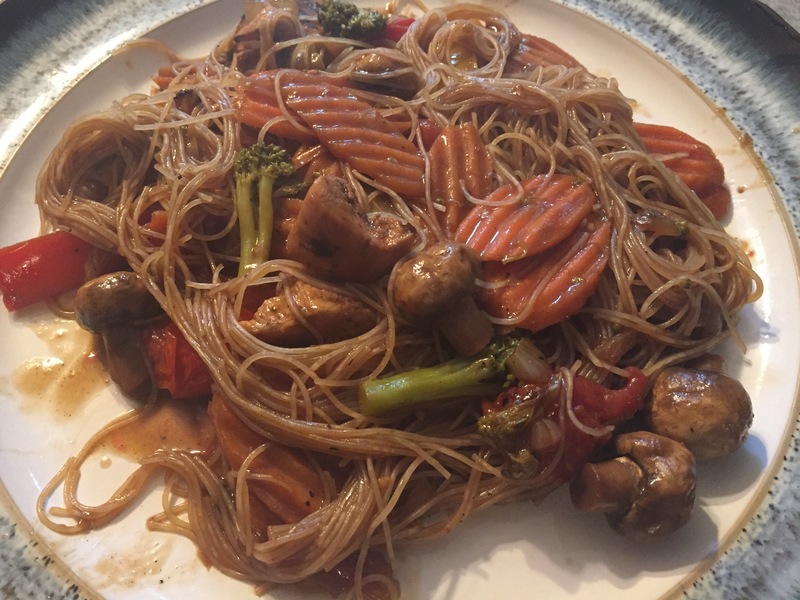 I have a bunch of the same noodles in my cabinet, this is a great idea how to use them with a good stir fry! Thanks! They cook really nicely in the wok and take on the stir fry flavour! Enjoy!